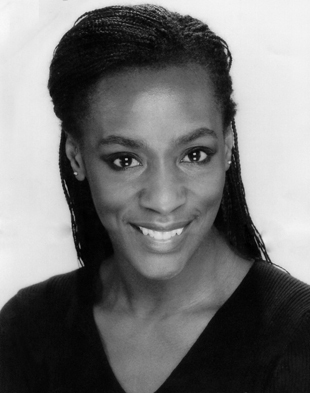 Jacqueline Boatswain’s career as a performer has been one of huge success and transformation. Having trained as a ballet dancer Boatswain spent 15 years tripping the West End’s light fantastic in productions such as Chicago and Jesus Christ Superstar. In 2001 her decision to turn her hand to acting was promptly met with TV offers and to date Boatswain has appeared in British institutions such as EastEnders, Grange Hill and Shameless. The Bedford native has spent most of 2013 on the stage, giving incredible performances in One Monkey Don’t Stop No Show, The Amen Corner and currently Sarah Rutherford’s new play Adult Supervision. I find myself laughing heartily throughout the interview as Boatswain shares some fantastic anecdotes and emphasises her point by adopting comedy accents and postures. She is extremely intelligent and answers my questions prudently giving great considerations to the issues raised by Rutherford’s writing. After this run of Adult Supervision Boatswain is already booked to play Valeria in Coriolanus. To me it is obvious why this dancer turned actress is in such great demand. What do you think Sarah Rutherford was trying to achieve through this play? What makes a great dancer is not the technique; it’s the power of expression. I don’t see any reason why musical theatre people can’t transition. Well, an awful lot of it is her personal experience; some of those things in the script are verbatim. She’s white and is married to a surgeon of Jamaican origin so she has mixed race children. Things in the play like Izzy saying Natasha’s son reminded her of a monkey in a zoo, that was from real life. Said with all innocence and love by a friend. If there has been any criticism it was that it’s a bit far-fetched, and no it’s not! The play is about unpicking the issues surrounding beige Britain; the lurking questions or thoughts that people have, particularly in middle class circles. I think it’s a fresh voice saying stuff that I’m not sure has been said before. The whole white mum-black dad/black mum-white dad and whether one is higher up the scale, all of that is explored. Despite the bigger issues the play is funny. There’s a lot of laughter of recognition; possibly they know people like that who get all twisted up about whether it’s mixed, biracial, dual heritage and so on. 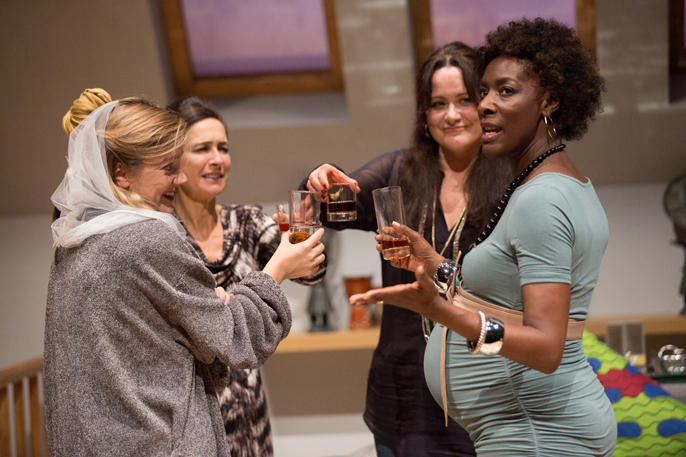 I also think the play is trying to give four women a voice. For Angela, whatever they’re talking about and whatever similarities the other three have as mums, they will never experience life in her skin. They will always be speaking from a position of privilege as white women was what I think Sarah wanted Angela to say. Can you be in a position of privilege as a black woman? Yes, I think so. I don’t see why not. I’ve never felt that I’m not privileged, I’ve always been grateful for my blessings but I think it’s a different life experience. It’s not how you see it; it’s how the world sees you and how you react to that. But my upbringing was never about colour; never- ever- ever. We went to private schools and we were always the only black kids there but it was only other people pointing out your colour that made it an issue. Can you remember the first time you noticed other people picking up on your colour? After training as a dancer how did you first get into acting? I was a dancer in the west end for 15 years. I was in the original cast of Kiss Me, Kate, original cast of Carousel, original cast of Chicago. I did 12 and can’t remember all of them! Absolutely LOVED IT. But during my time there directors were pushing me into acting and so I got more and more parts in musicals until one day someone took me aside and said ‘You realise you can act?’ So I decided to transition and go into acting. Of course in this country we don’t see musical theatre as acting so I thought I had to retrain. That doesn’t happen in the States as it’s all one industry, but we do love a bit of inverted snobbery here! So I thought ‘Ok, I’ll do a year somewhere’ but six weeks after my last musical I got my first telly. It was quite a big part in Doctors, then I did three eps of EastEnders and then I became headmistress in Grange Hill for three years. Ignorance was bliss for me, I just kind of did it without worrying that it wouldn’t turn out well. What shocks me is that people feel that they have the right to ask you why you don’t have children but they don’t ask men that. I was put on earth for other things. Have you had any dramatic training? (Shakes head.) No! Because I went to ballet school; I didn’t go to performing arts school, it was classical ballet. The thing that a lot of people don’t realise is that it is translatable, and some people who’ve transitioned and aren’t good actors, weren’t, dare I say it, particularly good dancers. What makes a great dancer is not the technique, it’s the power of expression. I don’t see any reason why musical theatre people can’t transition. One of my best friends is choreographer Stephen Mear and when he was choreographing Anything Goes at the National he was being sent all these actors and he had to say to them ‘It’s a musical. We need performers.’ They said ‘We don’t go to those agents!’ to which he replied ‘Well, you’re going to have to.’ So I think for institutions like that it was certainly a novelty to realise that musical theatre people could act. Adult Supervision is set around the election night that Obama Barack was voted in. Do you think that having a black man in the white house has had any effect upon non-white people in Britain? 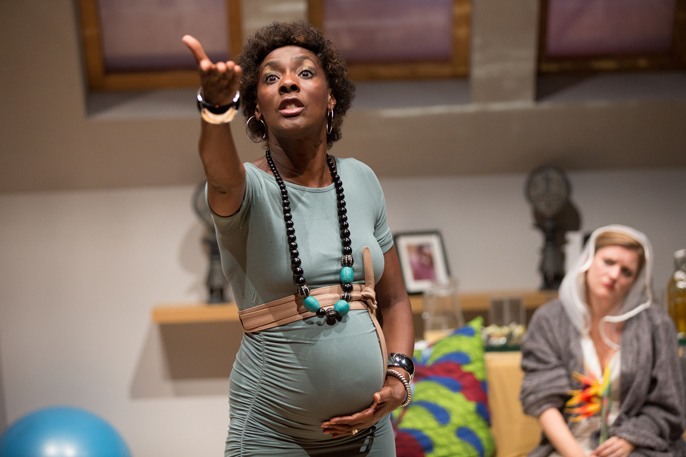 The subject of mixed race relationships and mixed race children is focused upon in the play. Do you consider either of those positions to be difficult? For our family there’s never been a question of mixed relationships being an issue. Looking back, I was engaged many years ago and my then fiancée’s parents felt that they couldn’t tell the grandmother he was engaged to a black girl because the shock would kill her. Needless to say we didn’t marry! I left him. I don’t know what it is; I don’t understand it. Usually when there has been an issue, it’s typically been from a black person. I’ve been with my boyfriend in a club and have had a black man trying to chat me up. He actually said to my boyfriend, ‘Where’s my African princess?’ and he just said ‘I don’t know mate, but this one’s mine.’ So it is an issue for some people but I don’t know why. I can’t say for sure as I’m not mixed race myself but I don’t think being mixed race is such a big issue as it was 20 years ago. I think it’s almost like Izzy says ‘The acceptable, diluted face of blackness.’ It’s seen now as very attractive; everybody’s very interested in what genetic make-up you are. I think it’s how you’re raised, because if you are loved by both sides of your family you are just who you are. But if you only have one of your parents and only have access to their background you may find it more difficult. 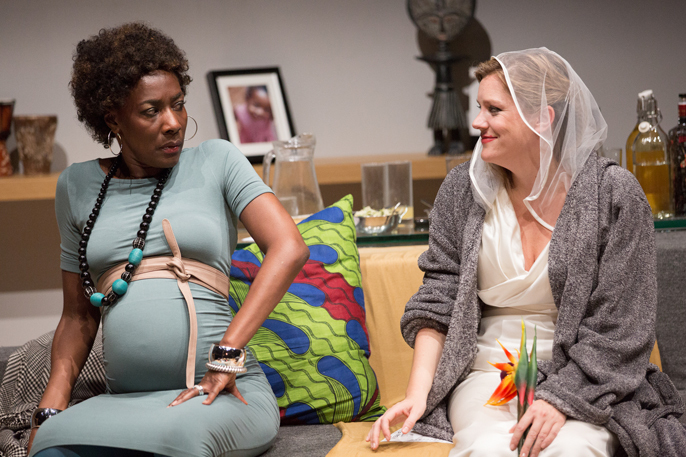 Your character Angela is a wife and mother who seems to be struggling with those roles. What do you feel is the biggest challenge that western women face? In my head she had a past life in fashion; it isn’t that she doesn’t love her husband and her child but she’s just bored and scared to say it. I like that it’s not race specific, it’s an issue that could affect anyone and it’s a very authentic female voice. I think we all feel we have to be able to do it all. You have to be seen to be coping. Plus there’s that weird dichotomy of being independent but also quite liking a door held being open for you. Trying to balance it all. I don’t have children; I don’t want children. Not that I don’t love them; I just can’t eat a whole one. What shocks me is that people feel that they have the right to ask you why you don’t have children but they don’t ask men that. I was put on earth for other things; I’m not just here to procreate. So I think the idea that you have to be able to do everything; have kids, a successful career, be attractive and be all serene on top and pedalling furiously underneath. It’s largely pressure we put on ourselves.